Parents whose children attend a failing school will receive a letter giving them the option of going to a different school, and the responsibility for transporting students will fall to the school districts. 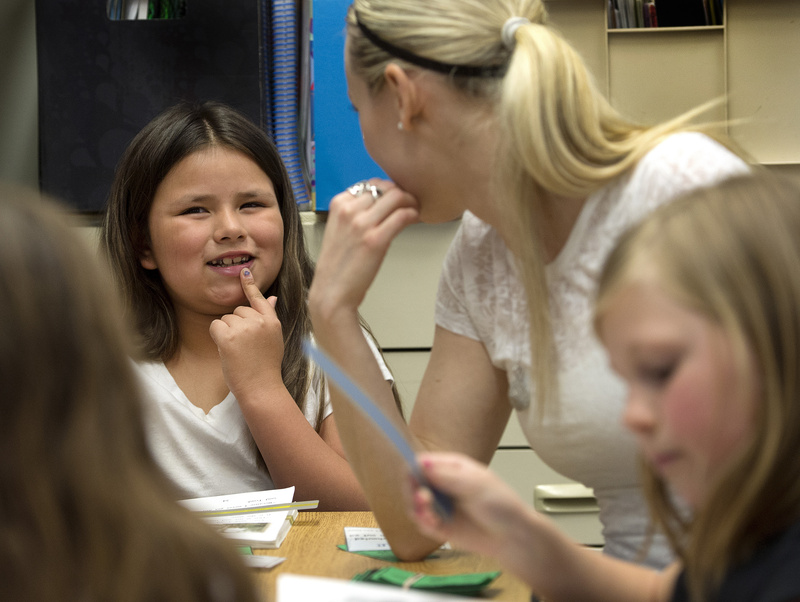 The refusal of Washington lawmakers to tie students’ state test scores to teacher evaluations could result in a loss of in-school programs that help struggling kids. And that may leave parents looking for outside services to help their children who are behind in core subjects such as reading or math. Washington is the first state to lose local control over federal dollars used to help students in the poorest schools. The result: Districts will be forced to set aside the $40 million they had been getting for those student services and make some of that money available to parents. The state lost a federal waiver that allowed it to skirt No Child Left Behind laws. Thursday’s news from U.S. Department of Education Secretary Arne Duncan “is disappointing but not unexpected,” said Gov. Jay Inslee. Lawmakers were under pressure by the state teachers union, the Washington Education Association, to reject the federal government’s mandate during the most recent legislative session. “Unfortunately the teachers union felt it was more important to protect their members than agree to that change and pressured the Legislature not to act,” State Superintendent Randy Dorn said. The law necessitated tying at least 1 percent of a teacher’s evaluation to state assessment tests. Starting this fall, Washington once again will report Adequate Yearly Progress, or AYP. This is an annual measure of student achievement on state tests in reading and math. The goal is for all students – including special education and second-language learners – to reach proficiency in both subjects by 2014. Because it’s difficult to bring all student groups to the same achievement level, most schools are likely to be considered failing after the release of this spring’s tests, according the Office of Superintendent of Public Instruction. Under the federal waiver, Washington schools had not been reporting AYP the past two years. Parents whose children attend a failing school will receive a letter giving them the option of going to a different school, and the responsibility for transporting students will fall to the school districts. Additionally, parents will have the opportunity to seek outside services to improve their child’s learning level. The federal decision Thursday means Spokane Public Schools must set aside about $2 million for transportation and academic services. As a result, schools won’t be able to customize services for struggling students, Superintendent Shelley Redinger said. “We’ve been able to get the academic results using the funds (internally), and now we may not be able to do that,” Redinger said. Before- and after-school tutoring programs as well as in-school math and reading intervention programs could go away. If students then tap outside services, “it’s much more difficult for us to track progress,” she said. Central Valley and Mead school districts each will lose about $150,000 based on current federal funding levels for their poorest schools. What will happen next is unclear. U.S. Sen. Patty Murray, D-Wash., thinks a change in the No Child Left Behind law would be the next best step.